Only see most of your students when they buy and sell back books each semester? 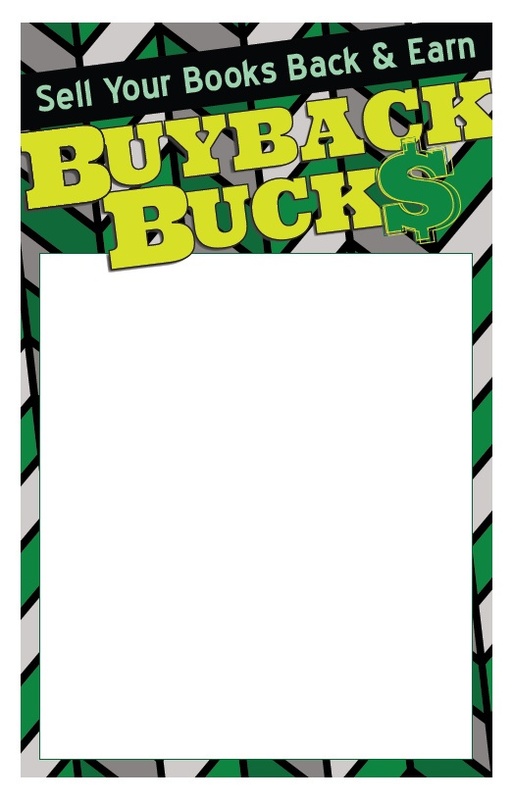 Increase the likelihood of additional visits by offering Buyback Bucks! Between rogue buyers and online retailers, students have options when it comes to selling their books. You don’t want to lose market share, so encourage them to sell at your store first by providing them with an extra incentive! Assign a value to each certificate and choose a redemption period. You can gain traffic either during your buyback, by having the certificates redeemable right away, or during the following semester's rush by postponing the redemption date. For May buyback, however, we suggest having the vouchers redeemable right away, as students will likely forget about them over the summer break. Set any parameters, such as product restrictions, and place them on the bottom of your certificate. Use our customizable template for an easy start! For example, you could offer one $5 Buyback Buck for every $25 of books sold. The cash students receive for their books can be taken anywhere, but because they’re also receiving Buyback Bucks, students will be likely to take that money straight to your store, earning you extra revenue! Keep in mind that to a student, the less restrictions, the better! You’ll see a higher return rate if they believe they can easily use the voucher to purchase the items they’re interested in. Be sure to include your new promotion in any advertising you do for the event. We created a few options to get you started! Post our web banner to your website or include it in a tweet, and customize our poster for display in-store and across campus! You can choose to have buyers hand out the coupons as they go, or set up a separate station to make lines run more smoothly. For example, if your bookstore prints receipts at buybacks, then post employees at a designated location to hand out Buyback Bucks. Students can simply show their receipt and receive a coupon equal to whatever percentage you have chosen. 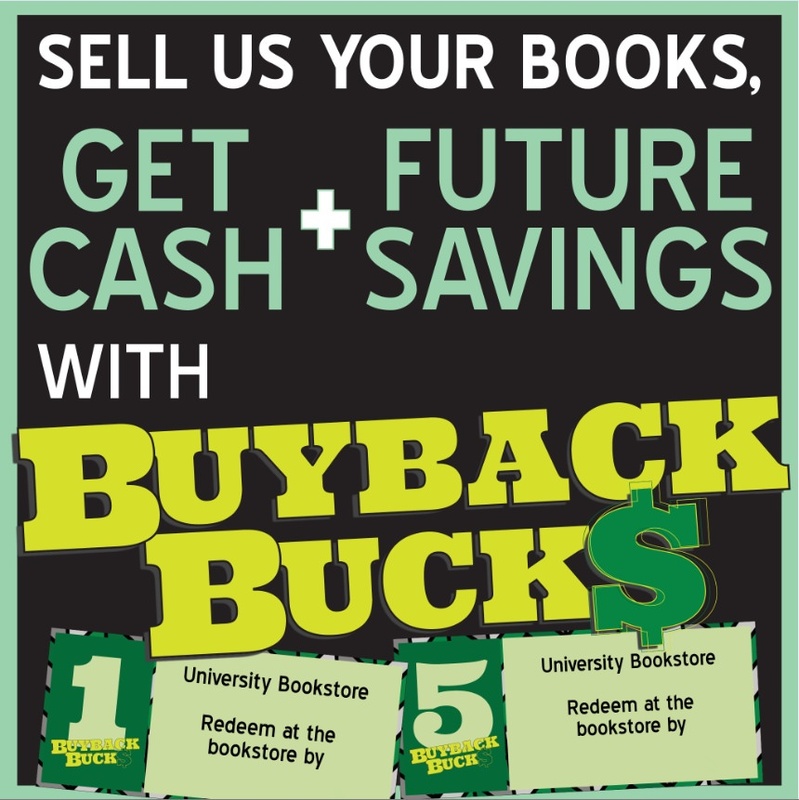 Finally, present students who sell you their books with Buyback Bucks! Watch as they walk away with smiles, rather than the usual frustration! We suggest that you offer those students who are unable to sell you their books at least one Buyback Buck, too. This small gesture will not only reinforce their decision to stop by your buyback, but also take the sting out of hearing that their book has no value or that its quantity limit has already been reached. To measure your traffic and analyze results, be sure to keep a count of how many Buyback Bucks you distribute and how many are redeemed. This data will help you determine ways you can further improve the promotion next semester!